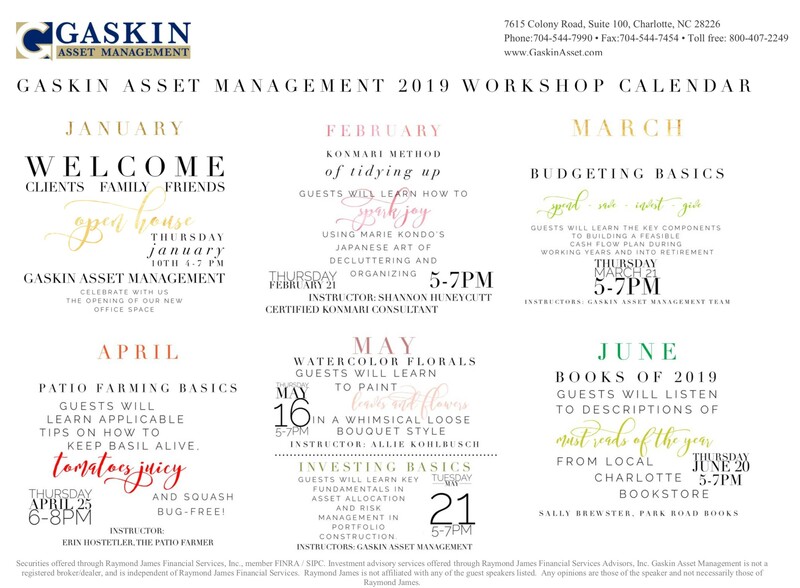 Gaskin Asset Management exists to serve our clients by helping them preserve and enhance their financial resources through custom-designing, implementing, and monitoring investment strategies uniquely tailored to fit their personal needs and goals. We partner with investors and families on navigating life's financial road. RSVP by Monday, April 22nd for our April Patio Farming Workshop! Securities offered through Raymond James Financial Services, Inc., Member FINRA/SIPC. Investment advisory services offered through Raymond James Financial Services Advisors, Inc.
Gaskin Asset Management is not a registered broker/dealer and is independent of Raymond James Financial Services, Inc.